Coffee snobs, powder hounds and art aficionados alike won't want to miss the debut of the 2017-18 Skevik Skis line-up on Saturday, September 30th from 10-12 am. Handmade right here in Vernon out of maple wood, Skevik Skis are not only made to tame big mountain terrain, but look the part, too. Partnering with different artists from around British Columbia, Skevik Skis are covered in unique top sheets depicting outdoor scenes, animals and other things you might stumble upon while out for a for a ski. 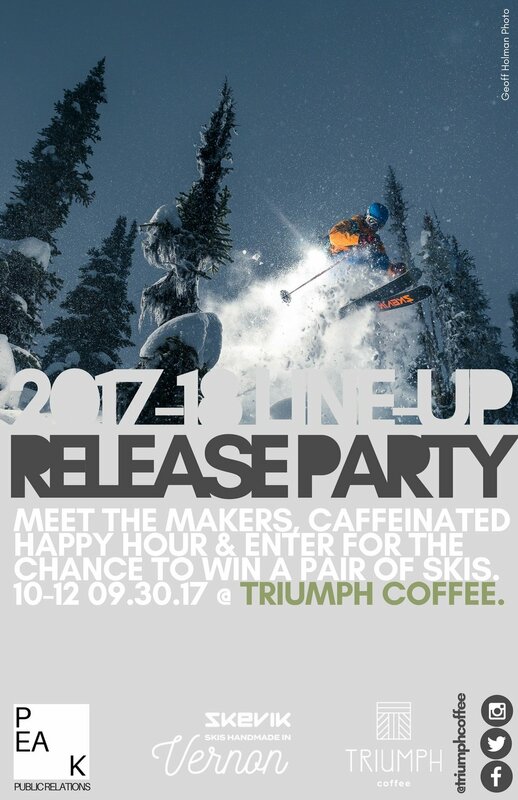 Join us as we celebrate the release of the new line-up, meet the makers and get caffeinated during a Triumph happy hour. Oh, and one more thing. There will be giveaways in-store as well as a chance to win a pair of skis! Skevik Skis and Geoff Holman are the exhibiting artists at the shop for October and November. Beginning Tuesday March 7th, and every subsequent Tuesday, we will be donating 15% of all sales to a different non-profit organization. We believe it takes a community to make Greater Vernon a great place to live, work and play. As part of that community, it is our shared responsibility to give back to organizations that significantly enhance our beautiful city through culture, sport, recreation, training, education and more. By supporting these local non-profit organizations, we are together in achieving a great victory. Triumph stands for more than just an outstanding cup of coffee. We provide a contemporary space that cultivates creativity; a space where family and friends alike can spend quality time together; a space that students and professionals can both be productive in and; ultimately a community meeting place. 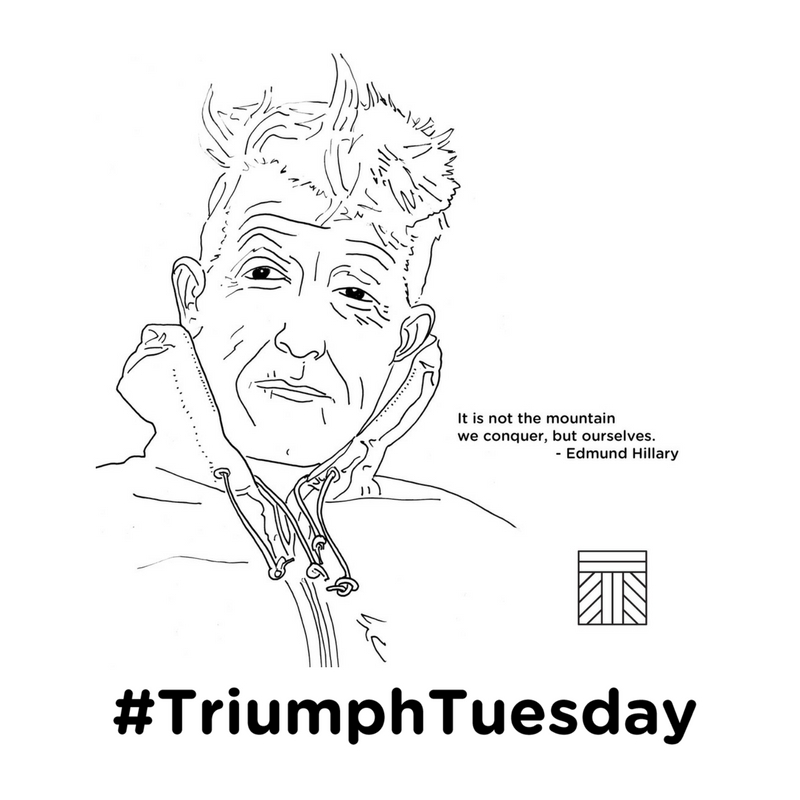 If you or someone you know is involved with a local non-profit organization, and you think they would benefit from a #TriumphTuesday, please email Dudley at peakpr.ca@gmail.com.